Unlike messy scrubs and makeup that do not work, Cellinea is a dietary supplement scientifically formulated to bring out your inner beauty by eliminating cellulite at the source! Cellinea is a dietary supplement intended to be used by women who are in good general health and who are interested in eliminating the appearance of cellulite. The recommended daily dose is 1 capsule taken twice a day. Most women notice significant results in less than eight weeks of starting Cellinea. In many instances during clinical testing, women surveyed experienced benefits within the first 5 days! Cellinea does not interfere with any of your normal activities. Continuing to exercise regularly makes Cellinea even more effective because it assists in maximizing circulation and preventing venous insufficiency. Cellinea is part of the solution. Your skin rejuvenates itself as you rest and the nutrients it needs to remain healthy come from the foods that we all eat. 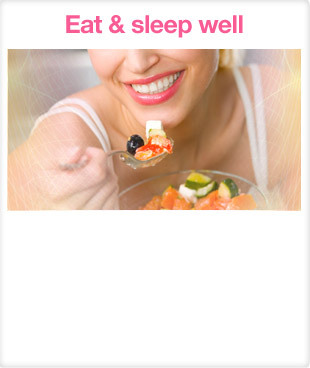 Keeping a stable sleep schedule and eating well makes it even easier for Cellinea to eliminate cellulite. Tension and stress have mental and physical manifestations. Taking some time for yourself and centering your focus allows your body to assign more energy to staying healthy and less energy is wasted by symptoms of mental fatigue.